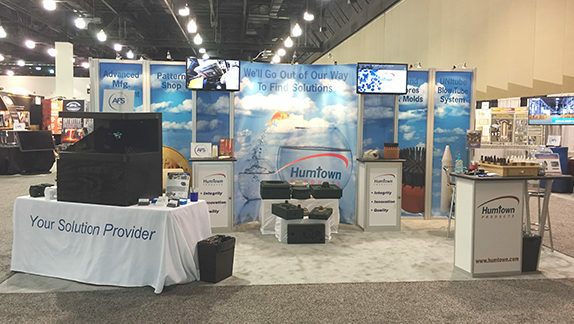 Humtown Products was honored to exhibit at the 121st Metalcasting Congress held in Milwaukee, WI April 25-27, 2017. It was a great couple days connecting with clients and fellow exhibitors. Winners of the drawing were: – $100.00 Visa Gift Card – Jeff Springer from Winona Pattern & Mold – Custom made Chess Board with 3D Printed chess pieces – Jon Shambeau from Wisconsin Aluminum Foundry Thank you to all who stopped by to say hello!